Dogs In Training « Utilizing balanced methods and an individual approach to correct unwanted behaviour. Utilizing balanced methods and an individual approach to correct unwanted behaviour. Wow, it’s been a rough year for Nature’s Variety. Don’t confuse that sentence for sympathy, however – it’s actually outrage that they haven’t been shut down or at least exposed in a more public forum than my tiny little blog. My anger began when I found sharp items in a bag of Instinct Dog Rabbit. After speaking with NV and being blown off by both the local sales rep as well as their head office, we investigated further and found sharp (and in many cases unidentifiable) objects throughout numerous varieties of Instinct kibble. To add insult to injury, while NV was telling us that there were NO bones in their products and that they could find no problem worthy of their attention, we had a dorsal ray fish bone removed from a piece of kibble and identified – and found dozens of reports across the web of consumers finding adulteration in their canned and frozen products as well. You can read our entire report by clicking here. At that time, we had not found any issue with their frozen bones, grain inclusive kibble or their treats. A few months later we discovered a study done to promote a particular brand of “alternative protein” food for allergies. During the study, the authors learned that with many products what was on the label was NOT what was in the bag. Surprise, surprise, Nature’s Variety had made the list – by adding Soy to their Venison and Millet diet, despite having a very clear “NO SOY” advertisement on the front of the bag. Interestingly, chicken livers were on the list and yet no chicken livers were found in the product. Since then, the online ingredients list has been altered to remove chicken livers, so it could have been an ingredient change issue… but the soy pretty much convinced me that this line of pet products was not what it claimed to be. You can read our entire report by clicking here. 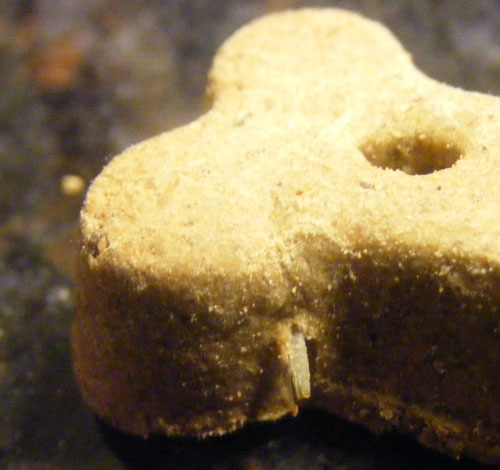 Thankfully, through the magic of the interwebs, the discoverer of these adulterated cookies found our blog and our previous post involving sharp objects in their kibble and other products. We immediately contacted her and asked her to hang on to the product, inform the store manager/owner, and to lodge a complaint with both Nature’s Variety and if possible, the FDA. We had debated from the beginning about possible causes for the presence of these sharp objects – what this tells us is that it is extremely likely that this is (as we suggested to NV originally) a raw ingredient issue. Pet food companies order their ingredients already prepared. For example, if they order fresh chicken, that chicken has to meet certain standards like protein and fat content, ash content and the level of grinding/screening required. We have seen this problem before in products like Orijen 6-Fish Dog and Wellness Fish and Potato Dog, when fish meal that hadn’t been thoroughly screened made it into the mix the final products contained sharp fish bones. Orijen issued a product withdrawal and instituted better QA practices – Wellness still hasn’t even admitted there was an issue (surprise, surprise…). When I suggested this to NV, it was quickly dismissed. To Nature’s Variety I have to ask – if your raw ingredients are properly screened (as you claim), WHY are these large pieces now being found in so many products? So far we have recorded adulteration in their raw food, Instinct kibble, their canned products and now their treat line. I’ll say it one last time – We are avoiding ALL Nature’s Variety products and we encourage our clients STRONGLY to do the same. 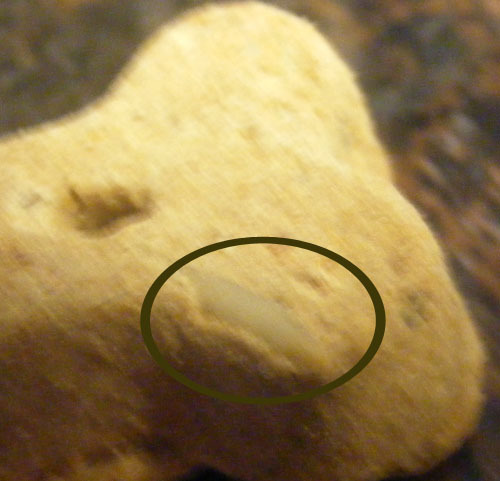 PLEASE, if you discover something unusual in your pets’ food or treats, documentation is key. Take photos, save samples, and contact the appropriate people. The first response is often to return the product to the store – unfortunately, too often these problems are swept under the rug. We will keep you posted on this issue if we receive any more information. In the meantime, please contact us if you have discovered something unusual in your pet product, Nature’s Variety or otherwise. If you’ve discovered this post while trying to find a cause for your adulterated product, please take the time to let us know so that we can continue to track this issue. One final note, I would like to add – I really don’t care what these sharp objects are. I care that they are SHARP, and that they are in my pets’ FOOD. 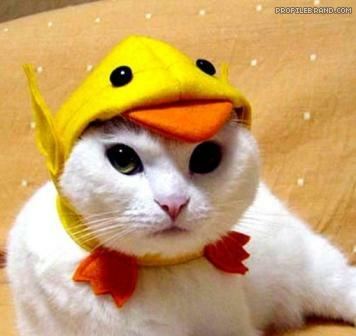 Hey Evangers - this is NOT a duck. Are we clear? May 5, 2011, the FDA sent a letter to the Evangers company of Illinois outlining a few problems with their canned products. Sadly, this is not the first time. Not even close. After reports of manufacturing practices that could potentially lead to botulism contamination, the FDA revoked Evanger’s ability to sell their canned products over state lines in April of 2008. You can click here for a good example of how that situation played out. In general, the FDA is difficult to glean information from, and with Evanger’s at the front of a media tsunami trying to play down the situation, many people came to the company’s defense. Most consumers seemed unwilling to consider that their favourite brand was involved in unsafe practices, and others simply viewed this as an attack on a small private pet food label (at the time there was a flood of complaints regarding Nutro products and outrage at the fact that it appeared the FDA was mishandling the situation – some people even believed that the attention paid to Evangers was an attempt to distract consumers from the Nutro situation). Also - NOT a duck. As a pet store employee during this time (at a store that not only carried but supported Evangers) I can tell you that for the year leading up to this we were seeing significant signs of problems. Foreign matter was found in the cans, cans frequently arrived with broken seals, and at least two moldy cans were reported. This year we learned of three varieties of Venison dog food that contained foreign material – poultry, beef and soy (Eukanuba, Natural Balance and our old friend Nature’s Variety). It appears that the FDA may have taken notice, since the latest complaint leveled at Evangers involves protein substitution. Note that I said “substitution.” It seems that the FDA tested two varieties of Evangers, “Lamb and Rice Dog Food” and “Grain Free Duck Pet Food.” Their findings were very upsetting, although perhaps not surprising. The “Lamb and Rice Dog Food” was tested for lamb – and was negative. It was, however, positive for Bovine protein or Beef. Considering that lamb and rice formulations are almost always used for allergies and/or stomach upset, and the fact that beef is often listed as one of the worst allergens for dogs, could Evangers have made a worse choice? It’s important to pay special attention to the complete lack of lamb protein. This wasn’t a matter of trying to reduce the overall cost of a product by substituting some cheaper ingredients – this is a blatant case of fraud. I suppose the issue should have been apparent, you can see on their website that under canned dog food their “Lamb and Rice” product is actually the cheapest one they offer. Less than beef, chicken, turkey, duck or vegetarian. Could this have been the first hint? The Lamb Dinner in their “Classic” line is also the same price as the chicken, which of course leaves me to wonder just how many products were actually tested. There’s a big difference between only finding two substitutions after testing the entire product line and only finding two substitutions after testing a portion of the product line, and considering the pricing I can’t believe that they would substitute lamb in one and not the other. Because of these and past events, we have added ALL Evanger’s products to our “Do Not Buy” list. This company has proven themselves time and time again to be far more concerned with the bottom line than with safety or quality. Need more proof? You’ll notice that there is not a WORD of this issue on the company’s website. You’ll notice they have NOT issued a recall for these products. Once again, I ask you to vote with your wallet. And once again I have to ask why we don’t have a certification program in place? *** No, I am not suggesting that Evangers was using zucchini, dogs or cats in their canned duck product. The fact is, we don’t know WHAT is in that can. 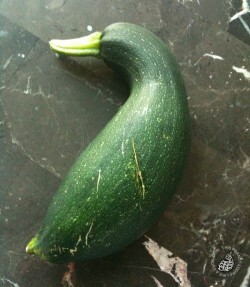 The use of zucchini, dogs and cats dressed as ducks is an exercise in sarcasm, nothing more. What’s In Your Dog Food? (Maybe) Not What You Think! 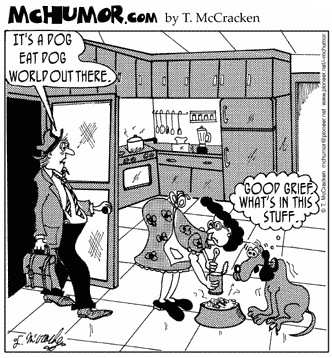 Oh Pooch, if only we knew! This past December we had some issues with Nature’s Variety and their Instinct line of dried kibble products for dogs. Which led us to discover additional issues with their cat line as well as reported problems with their dehydrated raw, frozen raw AND canned food products. Just when we thought they couldn’t surprise us any more, this little gem came knocking through my email. Now normally I take pet food studies with a pretty big grain of salt – they are, after all, sponsored and often conducted by the companies themselves, similar to the current issues surrounding prescription drug trials. They’re often carefully worded and phrased, and angled just so – to support whatever product the company pushing. This study, however, is an entirely different story. Some of you will remember back in 1999 the CVMA did a study testing pet foods for sodium pentobarbital residue and canine/feline DNA in an effort to determine a) whether pentobarbital was present in significant amounts, and b) whether there was any truth to the rumour that dogs and cats were being recycled back into pet food. It took years for them to publish the results, and I understand they did so begrudgingly. You see, despite the companies’ screams to the contrary, many of their products DO contain pentobarbital. Neither canine nor feline DNA was ever found, although even the president of AAFCO is on camera admitting that it’s absolutely 100% possible. After this shocker, few independent studies have come across my desk that have actually named the brands used in testing. This is due to many reasons, including legal issues and of course the ability to make the data look better – after all, if your food tests superior to 10 other brands, that looks good. It doesn’t look quite as good when it comes to light that you’ve been comparing your “superpremium” brand to grocery store fare and not to comparable products. In this latest blow to what little trust pet owners may have had left in pet food companies, we discover that allergy diets are not always what they seem. In fact, it appears they rarely are. Venison is an extremely popular alternative protein at the moment, right up there with Rabbit and Duck. All three are being used as “hypoallergenic” diets (which they are not, they are merely novel proteins the body has not yet developed allergies to) in various forms. But what if that bag doesn’t just contain Venison – or what’s listed on the ingredients list? Ok, ok – we already know this occurs. Chemicals like preservatives and artificial colours are frequently added to raw materials before being purchased by the manufacturer. This means that if the manufacturer purchases say, chicken meal that has been preserved with ethoxyquin and coloured with FD&C Red #40, all they have to put on their label is “chicken meal.” Not only that, but they can add phrases like “no artifical colours or preservatives.” Why? Because they didn’t use ethoxyquin as an ingredient – they simply bought chicken meal. This is a royal pain in the a$$ for those of us feeding dogs with sensitivities, as they could be reacting to an ingredient in the food that’s not even on the label. Which leads us to these limited or novel protein diets, like Venison. Each product was tested for the presence of soy, poultry and beef. The only product which tested identical to its label was Wellness Simple Food Solutions. 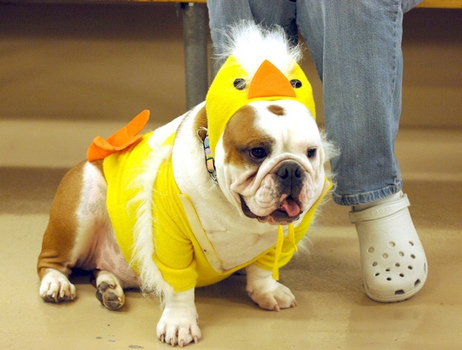 Eukanuba contained poultry – not surprising since their product contains chicken meal as a listed ingredient. A bit surprising that any company would consider putting out a novel protein diet and then add chicken – although also not surprising because let’s face it, chicken meal is much cheaper than venison. Unfortunately, they also tested positive for soy, coming in at 8.5 ppm – despite the fact that soy is a major allergen and, yeah, not on the label. Then on to Natural Balance. Sadly, this company has a long history of “mystery” ingredients. Those of you who remember the 2007 melamine recalls may also remember it was Natural Balance who suddenly came forward and announced that their product was also on the recall list despite not having any of the affected ingredients on its label – turns out it was adding rice protein on the sly (and on the cheap) and escaped too much scandal by blaming it on their canning company (a pretty sore excuse). Well, despite not being listed on the label, their LID Sweet Potato and Venison tested positive for soy at greater than 25 ppm (it appears as though this is the maximum level they tested for) as well as testing positive for beef – what is considered possibly the worst allergen possible for dogs, at least by the veterinary community. Now, this is particularly infuriating in the case of Natural Balance, as it wasn’t too long ago that their products were called “Venison and Sweet Potato” – the reversal of ingredient listings automatically means that there is now more Sweet Potato than Venison in this product – and with Venison now coming second in the name any idea the minimum amount of venison required under AAFCO regulations? 3%. Sadly, the worst is yet to come – not only have they vastly reduced the amount of meat in their products across the board, but now we come to find out that what little is there is not even the meat source they claim, exchanging a portion of the “hypoallergenic” and very expensive venison for a top allergen and cheaper substitute! Our old pals Nature’s Variety of course makes this list as well, being another company that loves to throw chicken in everything it makes (why is there chicken in every single Instinct kibble product for cats? Don’t cats deserve an allergy free meal too?) – unless, apparently, they list it on the label. If that sounds confusing, it is! Despite listing Chicken Livers as an ingredient, this product tested negative for poultry. And despite claiming to be free of soy, this product tested at 22ppm. Now, it seems that Nature’s Variety has since removed Chicken Livers from the ingredients list of this product (online conformation only – your bag may vary) – but hey, who knows, maybe that means now it does contain them. Three of the four products tested were positive for soy, one for beef, one for poultry and three of their ingredient panels failed to match their actual ingredients. Wellness is the only company whose product appears to be what they claim it to be. At least, according to this particular battery of tests. It’s time to stop this ridiculousness. There is big money to be made for a laboratory somewhere – one who will offer pet food companies a certification program, requiring quarterly samples to be obtained off store shelves and independently tested from front to back, top to bottom, with full results available online for customers to view. Trust me, the companies that truly care about quality will become evident quickly. As for the rest, well… as we always say – VOTE. With your dollars. In the meantime, we’re adding Eukanuba and Natural Balance to our “Do Not Buy” list. Nature’s Variety, on the other hand, has been on it for a while with this latest news serving only as an assurance that they belong there. I was perusing through my loooong list of Google Alerts today when I came across this gem. It seems that Jeff Denzen Public Relations (JDPR) has taken to the interwebz to brag about their recent successes with who else but… Nature’s Variety! 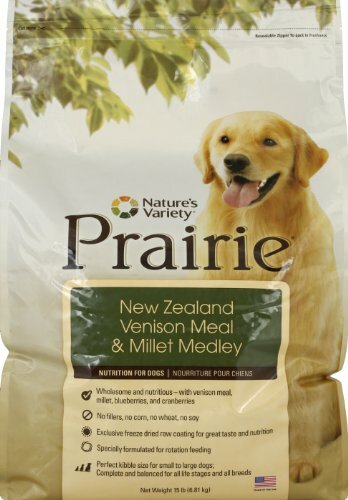 In early 2010, Nature’s Variety experienced a salmonella contamination in their fresh raw frozen dog food product line, presenting a threat to over 40% of their business. Does that sound like a company that is concerned about producing the highest quality product possible? Can you trust a company that hires a PR firm to help them “blunt regulatory sanctioning” while every concerned pet owner is pushing for more regulation, stricter penalties and more transparency? I’ll let you judge for yourself. Want to see the case study JDPR is putting out? You can download the .pdf here. Negotiate with FDA to change product status from a mandatory recall to a voluntary withdrawal, and reduce negative brand perceptions among retailers and consumers. Because that’s what pet owners believe will increase the safety of their furry family member’s food – voluntary withdrawals! As if the FDA needed another reason to reduce their efficacy…. I have posted about this issue previously on our Facebook page, however I felt that a more complete explanation of events and findings was required. On December 24, 2010, we stopped by our local pet store and purchased a bag of food for one of our rescue fosters, a lovely little Chihuahua named Olivia (who is still looking for a home, by the way!). Olivia came to us in terrible condition, having been repeatedly (and recently) bred and ranking a 1 on the body condition scale. When she first arrived she ate a homemade diet we prepared for her. Once she had gained a bit of weight we decided to transition her to a kibble. We have a very short list of “acceptable foods” that we allow in our home. These foods are generally grain free, and all are of the utmost quality. In compiling this list we take multiple criteria into account, including my own personal experience in pet retail and the experiences of my customers during this period. According to Traditional Chinese Medicine, rabbit is a recommended meat during the winter months. As Nature’s Variety offers a grain free rabbit kibble in their Instinct line, and Instinct happens to occupy coveted spot #2 on our Acceptable Foods List, we opted for a 4lb bag of Instinct Rabbit Dog. Immediately upon opening the bag we found several issues. It was obvious that the food contained items that did not belong, and closer inspection revealed multiple sharp objects contained within the kibbles (these were later identified as fish bones and sunflower seed shells) as well as a single kibble that actually contained a large pink piece of what appears to be plastic. On December 27, 2010, we returned the bag to the store we purchased it from. The manager of the store proceeded to open several bags of rabbit kibble, and we found similar issues with every bag. We then proceeded to purchase a bag of the chicken variety. Immediately upon opening it we once again found that hundreds of kibbles contained sharp objects. While the individual kibbles were much scarier in the chicken variety (containing very large, sharp bones indeed) the overall adulteration was heavier in the rabbit variety. At this point I contacted the Nature’s Variety sales rep for Canada and provided him with photos of what we had found. At the same time we purchased another bag of Instinct Rabbit from another store in a neighbouring city and once again documented heavy adulteration of the kibble with sharp objects. Several days later I was contacted by a service rep from the US office who requested a portion of the samples I had retained. I was more than happy to comply, and we agreed that due to issues arising from trying to send food over the border it was easiest for me to submit the samples to the store I purchased them from and the Canadian sales rep would handle it from there. We complied the following day. Now, it doesn’t take a microscope to tell that what we are looking at is not simply sunflower seed. Notice that NV admits that the “frequency of the particles…looked about equivalent” when comparing the videos I made of the adulteration to their own samples. Let’s digest that slowly – NV considers this to be NORMAL. My response to this email was understandably one of frustration. They had failed to inspect the kibbles I had sent in for sampling, they had failed to give any explanation for the large pink object we found, and they had failed to address the fact that these objects were capable of cutting skin and definitely were unsafe for consumption – particularly by a small animal such as the Chihuahua the product was purchased for. 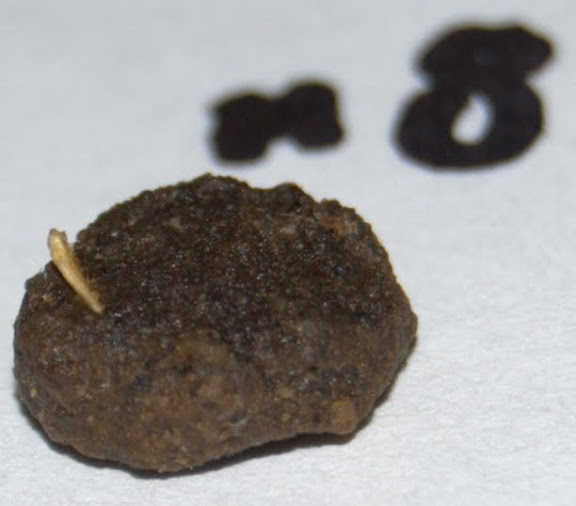 I also found their assertion that because they believed these objects to be seed casings rather than bone that therefore the product was safe. My response was that I did not care if the offending objects turned out to be bits of dry yogurt – it did nothing to diminish the safety risk. At this point we had identified sharp objects capable of cutting skin in two lots of Instinct Rabbit Dog and one lot of Instinct Chicken Dog. My reply email did not get a response until February 2011. More on that later. In the meantime we set about trying to identify the objects more clearly in the hopes that we could convince NV to take this matter more seriously. A friend of mine happens to attend the local university and is enrolled in their Anthropology program. As such, she has access not only to some pretty impressive laboratory equipment, but also some pretty impressive experts. 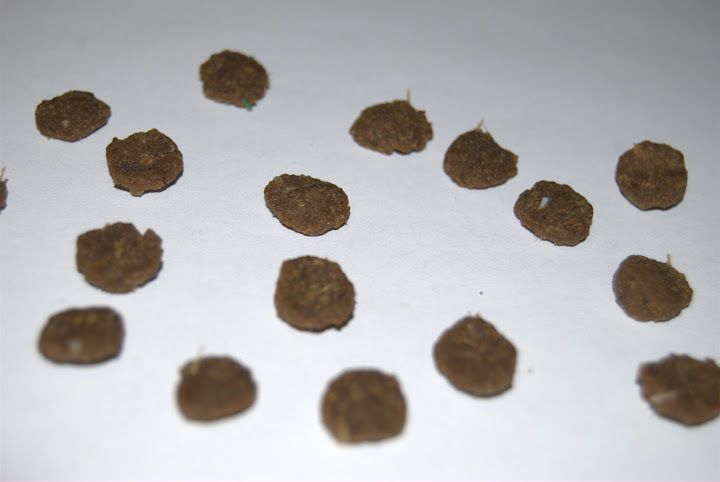 We gave several kibble samples to the lab and waited to see what they came up with. It took some time for the kibble to be looked at, but on January 28th I received an email informing me that they had taken apart the worst kibble of the bunch, Chicken Sample 1-17. 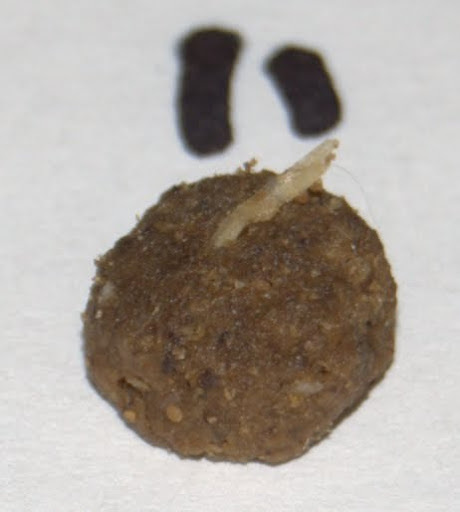 After dissecting this particular kibble they took photographs of what they found. The expert looking at these samples was a zooarcheologist who had done her thesis work on fish bones. Not only was she able to identify the seed shells, but also a large amount of fish bone particles in the samples we sent including a partially complete Dorsal Ray bone and a piece of clear plastic from CS1-17. 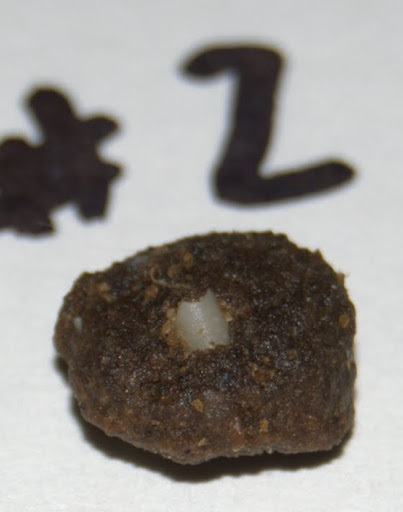 Photos of that kibble and the bone found within are provided here. Armed with this new evidence we immediately set to notifying everyone we had been speaking with about this issue, including Nature’s Variety. We received an email back on February 2, 2011 – this was the first contact they had with us following our receipt of the initial email. Of course, our response was that conversations with the vets and our zooarcheologist had nothing to do with the issue at hand – after all, Nature’s Variety had full “access to the material” and chose not to look at the samples provided. 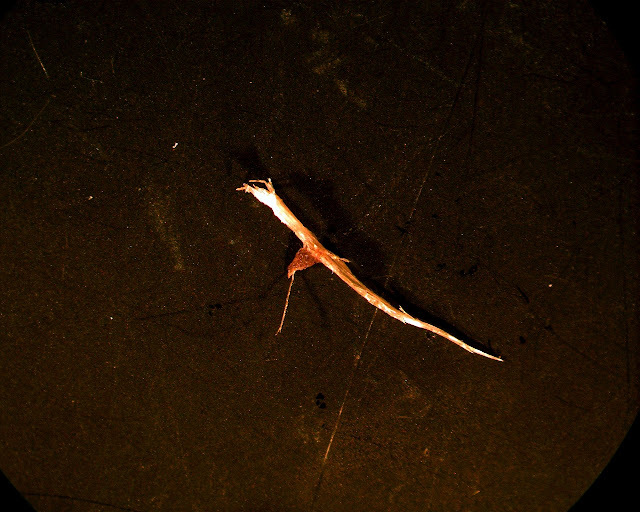 We had provided dozens of photos, several videos, and now photos taken under microscope of our findings clearly illustrating objects that a) should not be in the product and b) posed a danger to the animal eating it. On January 31 we were informed by a staff member at the store in question that a customer had returned a bag of Instinct Cat Rabbit that the cat would not eat. Out of curiosity the staff member and manager inspected the kibbles and reported to me that sharp objects were found throughout. Unfortunately I have not been able to document the rabbit cat kibble – however I have no reason to doubt the report of the store manager who at this point is now seriously concerned with the product safety. On February 4 we provided NV with the phone number of the store we had originally purchased from and the name of the store’s manager who had gone through the product with us and was aware of the problem and its severity. To date NV has continued to demand the contact information for our experts but has failed to contact this concerned retailer. Another example of Chicken Instinct, CS1-11. Are you concerned with what this object is, or would you simply rather that it not be there at all? February 8, 2011 my husband was going through some baskets of pet supplies we had stored away and came across a sample of Instinct Cat Duck and Turkey that the sales rep had given to us at an annual trade show in September 2010. I am positive of this date – the food had just been released and the rep knew that I had been waiting to see how much chicken would be included in the product (for some reason NV puts chicken meal in all of their cat flavours – something they do not do with the dog formulas. This renders the cat varieties as useless for allergy or elimination diets, a frustrating issue for retailers who are always looking for grain free products using alternative protein sources for hard to feed cats). On a whim (half joking) my husband brought me the sample and suggested I inspect it for sharp objects. I was about to have him throw it away and decided it couldn’t hurt to take a peek. Considering that NV was still maintaining that they were finding it impossible to locate samples of their product that contained objects matching those I had documented, I quite honestly did not expect to find anything. Sadly, immediately upon opening the sample bag the foreign objects were obvious. We poured out the sample and went through it – not only did it clearly contain sharp objects (including bone), but the saturation was the highest we have come across. 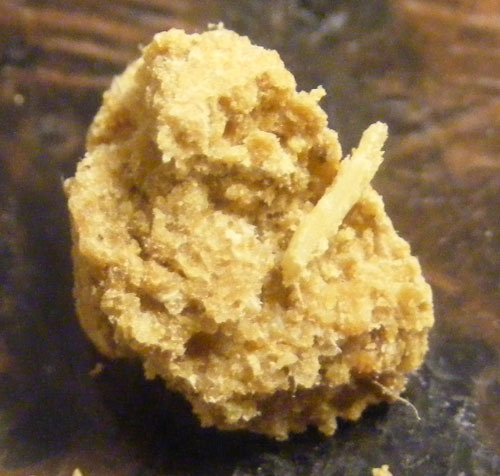 Even worse, while inspecting the sample we came across a kibble that contains a very small piece of green material. 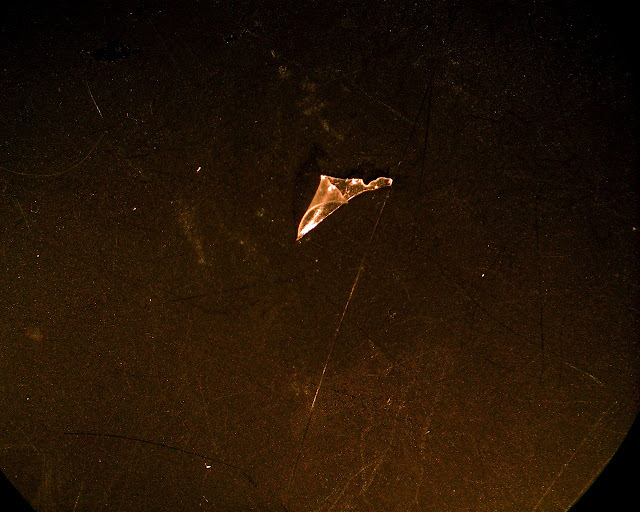 Upon inspection with a 45X hand held microscope, this piece appears to be a very thin but clearly rectangular piece of plastic. Kibble from the Instinct Cat Duck & Turkey sample - note the uppermost kibble containing the tiny piece of green plastic. Do any of these kibbles look like food you would want to feed your cat? Do these kibbles look safe to you? Of course we notified NV immediately, although their response was what we have now come to expect – namely further insistence that they speak with our experts. They also requested that we submit the sample for testing. Given that all previous samples submitted have ended up disappearing, I am seriously reluctant to hand this sample over. Remember, the previous sample containing the large pink object was utterly ignored by NV. The cat kibble shape is a flat circle just a few millimeters thick. 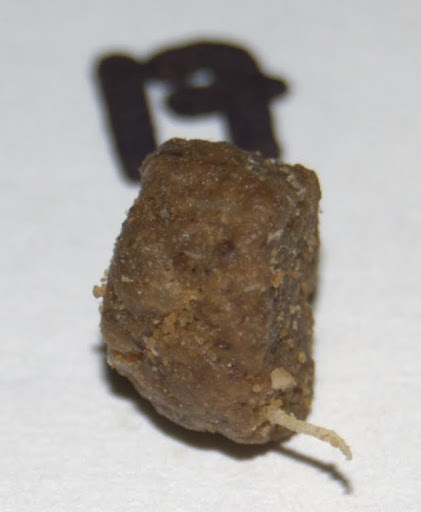 Unfortunately this means that many of the kibbles contained bone pieces that protruded through both sides of the kibble and were firmly anchored. For cats who chew very little or swallow pieces whole (which would be most of them, in my experience) this product is especially dangerous. This form of adulteration matches what was described to me by the staff at our local store when they inspected the bag of Rabbit Cat – although the rabbit kibbles are apparently tiny and globular, bones extending out either side of the kibbles were found throughout. While Nature’s Variety continues to claim that they have been unable to find a sample of kibble that matches our findings, the reality is that we have been unable to open a bag of Nature’s Variety Instinct kibble of any variety that does NOT contain these objects. We also firmly reject their claim that all of these objects are seed casings, and in any matter we stick by our original assertion – that is, we don’t care if these objects turn out to be dried yogurt – the objects are hard, sharp, and firmly embedded enough to cut through several layers of GLAD heavy duty plastic bag and have succeeded in cutting skin when tested. These are NOT objects you would want sliding down your pet’s throat, particularly firmly embedded in the kibble at a 90 degree angle. We have advised all of our clients to stop feeding ALL Nature’s Variety products. While our own experience has been limited to the Instinct line of cat and dog food, an online search has discovered potential issues with their canned, freeze dried and frozen raw diets as well. You can view photos of the affected kibbles from the first bag of Instinct Rabbit Dog here and here, the second bag of Rabbit Dog here, the Instinct Chicken Dog here and the Instinct Duck and Turkey Cat here. 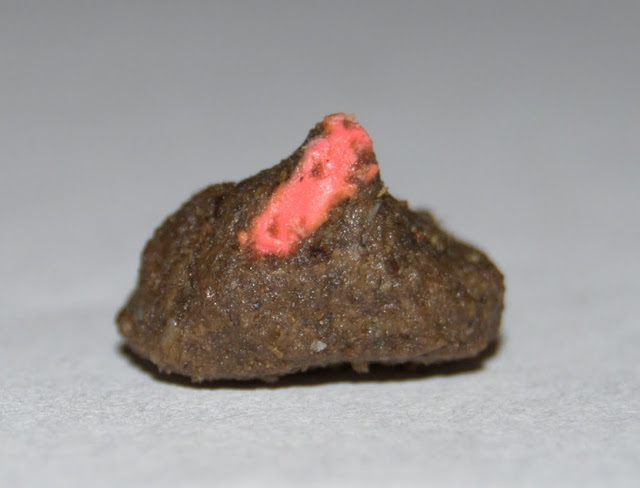 Photos taken under the microscope can be viewed here, and photos of the pink object found in the first bag of Instinct Rabbit Dog here. Please feel free to comment on this issue – comments will not be moderated. I am interested to see if other pet owners consider these photos to show an acceptable product or one that poses a safety issue and should be avoided. If you feed Nature’s Variety I urge you to take a VERY close look at your kibble before feeding it. Should you discover anything that gives you pause, feel free to link to it in the comments or email me at dogsintraining.hamilton@gmail.com with a description and photos and I will add it to this post. We strongly urge Nature’s Variety to take a closer look at their raw materials as well as their current screening process – until these products are removed from the shelves and replaced with a product we are assured is safe, namely one that does NOT contain sharp objects of any kind, regardless of what they are made of.